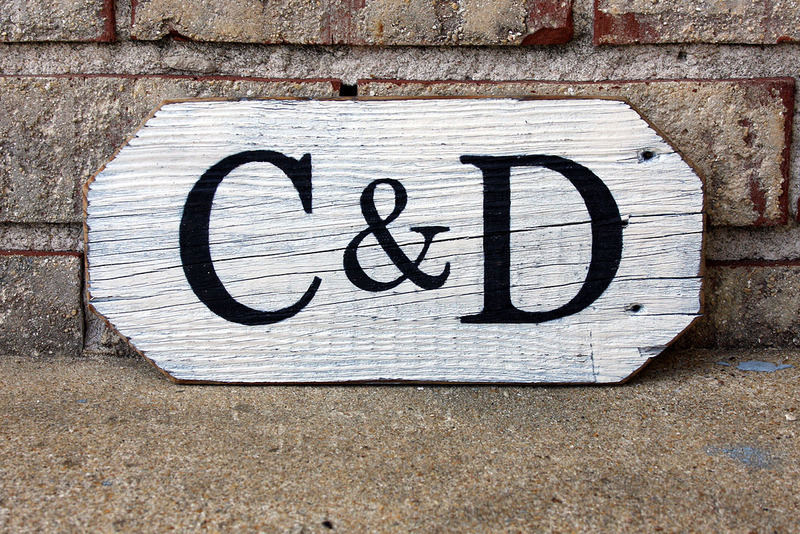 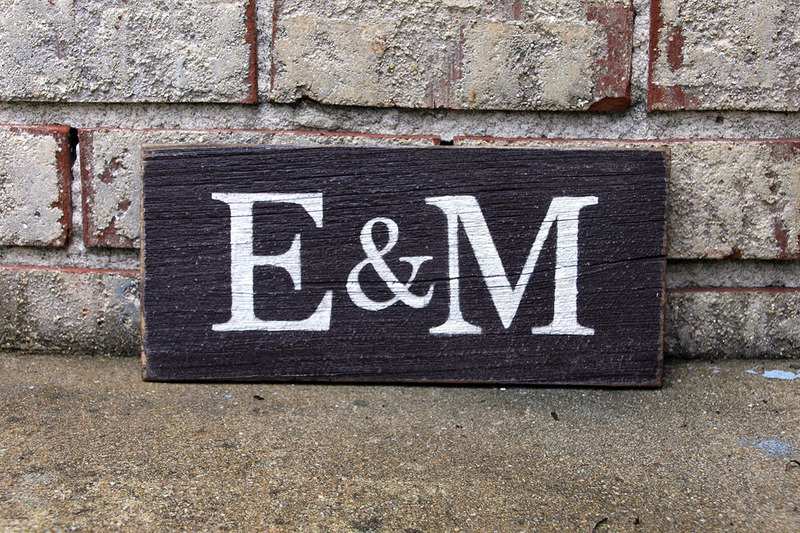 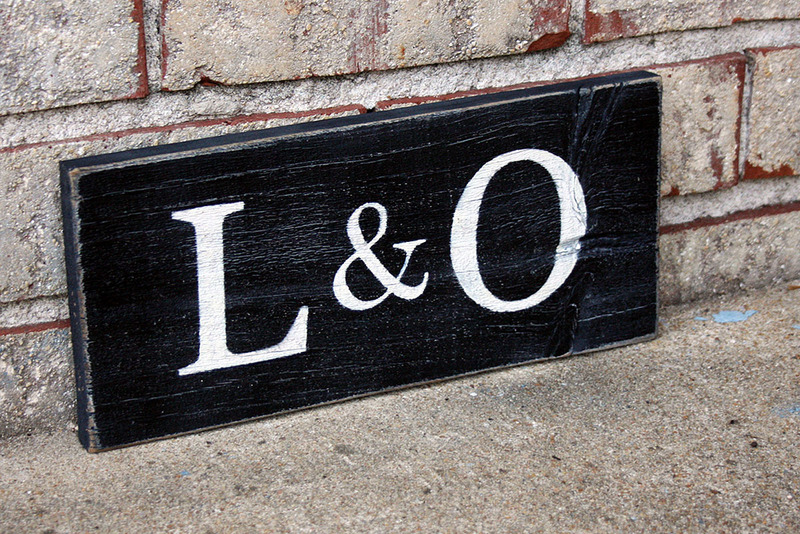 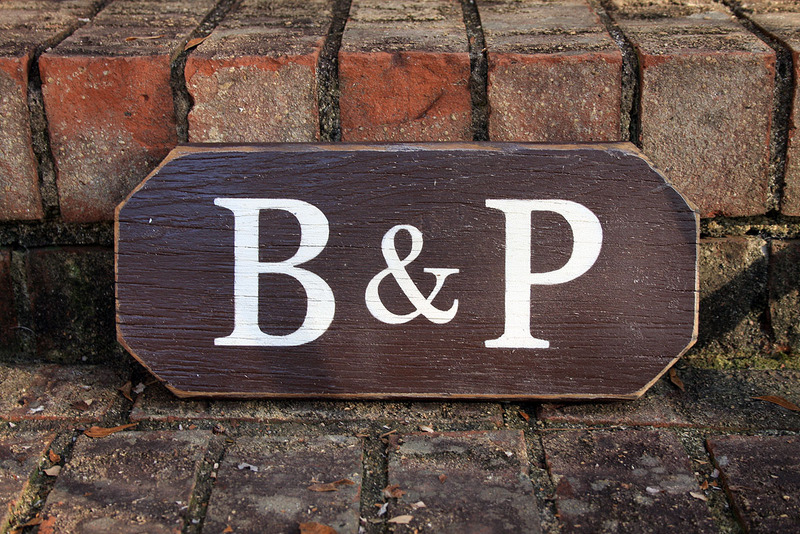 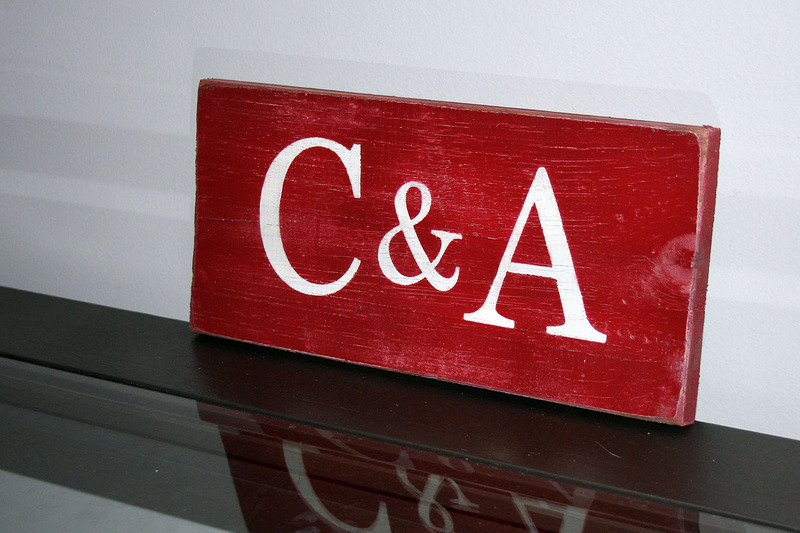 Perfect for any couple, young or old, married, engaged or otherwise, this simple and sweet Two Initials Sign is a snazzy little addition to any style of decor. 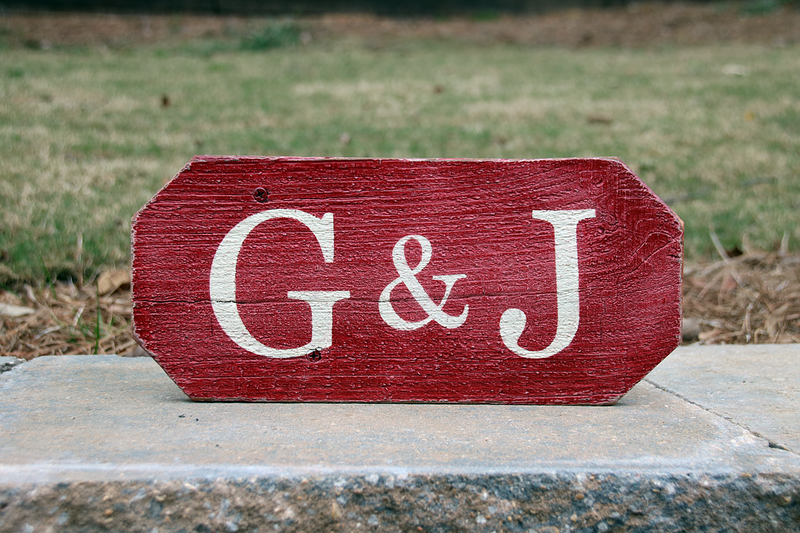 It makes a wonderful wedding, anniversary or Valentine gift! 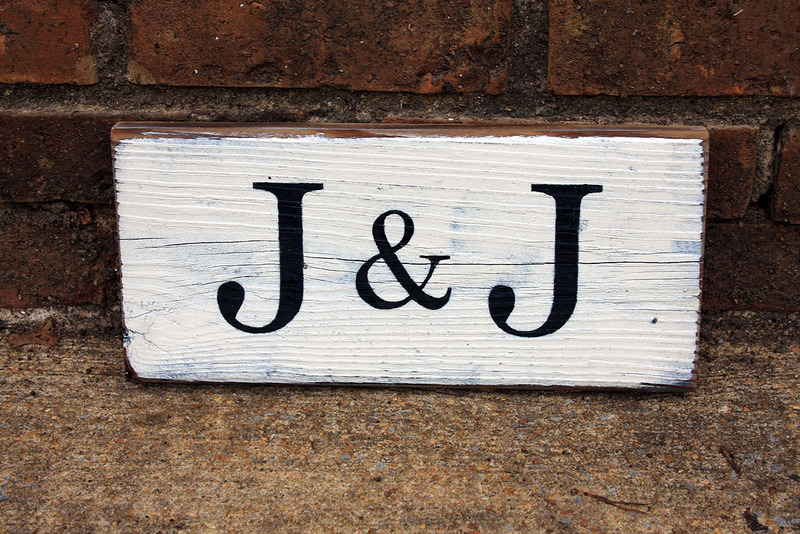 Carefully painted on reclaimed wood plank boards, the varied colors, knots, cracks, and textures in the weathered wood makes each sign completely unique. 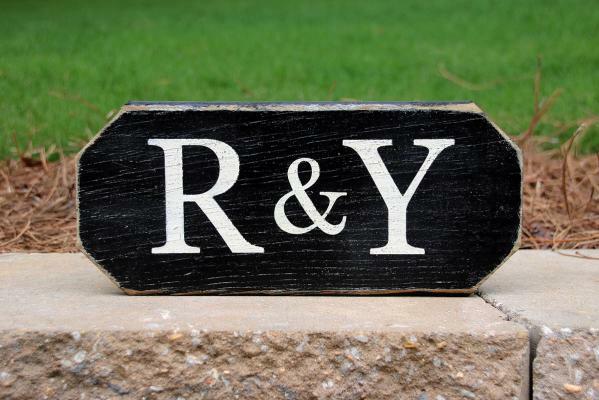 Each Two Initials Sign features two uppercase monogram initials and a smaller ampersand (&), and is available in four color choices of black, white, brown or red.